This is a SHORT, 3-element, 2x Apochromatic Barlow lens from 365Astronomy. Very high quality 2x Barlow lens with nearly no false colour in full metal construction. Due to the short construction it is recommended for use with Newtonians, refractors, Maksutovs and Schmidt-Cassegrains as well. Three element construction provides better than average field correction and nearly chromatic aberration free image. General info about Barlow lenses. The aim of a Barlow lens is to prolong the telescope's focal length, so e.g. a 2x Barlow doubles the focal length of the telescope, so when we divide the doubled focal length of the telescope with the focal length of the eyepiece we got twice the magnification obtained. 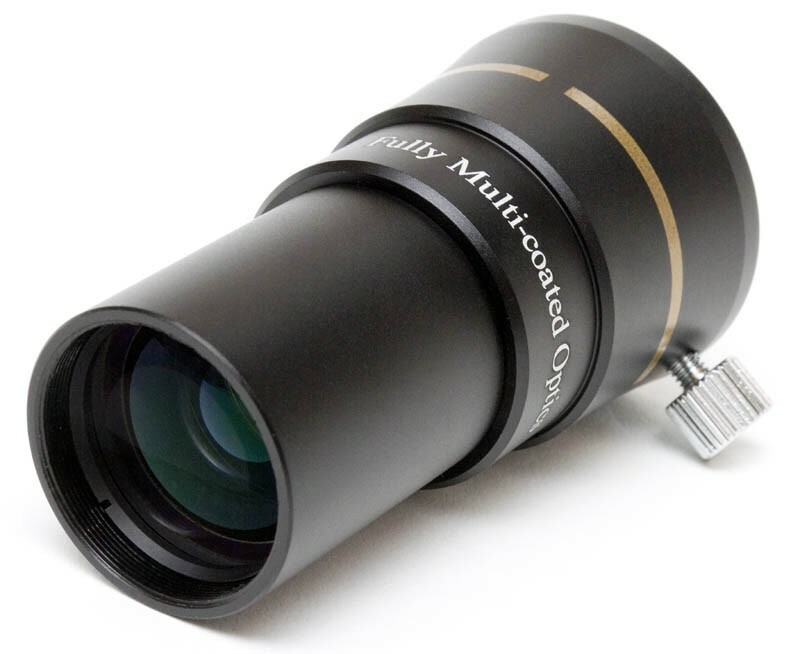 This is a popular amateur complementary tool, because with the help of a Barlow lens we can achieve a wider magnification range with the same telescope without having to obtain additional eyepieces. When we want to achieve high magnification, we would choose an eyepiece with a short focal length, but the aperture is usually smaller and the eye relief is shorter for eyepieces with shorter focal length (higher magnification eyepieces), thus these are less comfortable. With a Barlow lens we can achieve the same magnification but by using a more comfortable, longer focal length eyepiece. 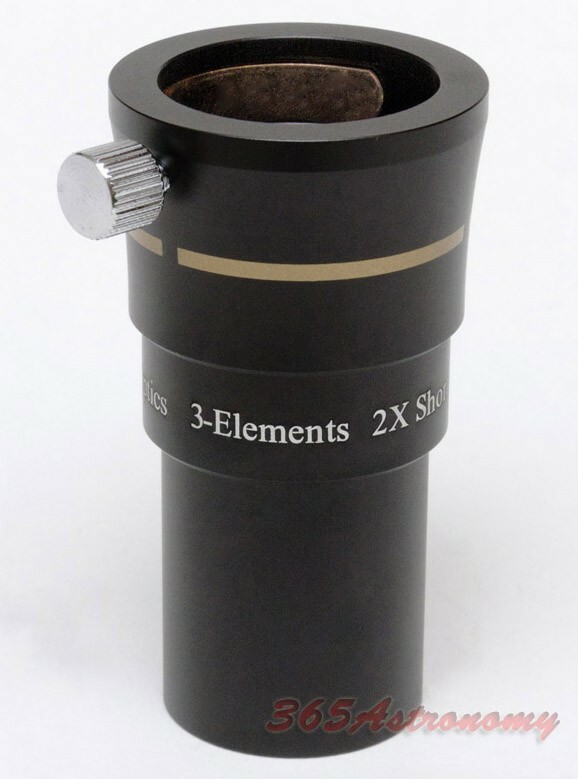 The Barlow lens is always being used between the telescope lens and the eyepiece. However, there is a trick we will teach you now. If you use a refractor telescope, Maksutov or Schmidt-Cassegrain with a star diagonal, you would usually us the Barlow between the star diagonal (diagonal mirror) and eyepiece, thus achieving its nominal magnification, e.g. 2x. 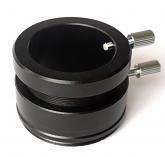 Barlow lenses will fit in a 31.7 mm or 50.8 mm eyepiece holder barrel. 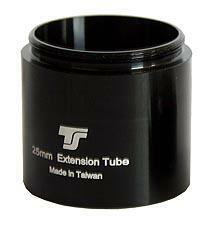 This particular one will fit in a 1.25" holder barrel.